I met Josie at this year’s Spirit Weavers Gathering, where we bonded over her gorgeous curls and her love of brushing them. As you all know, I really love to meet a woman who fully embraces her curly hair, and her silver sparkles. 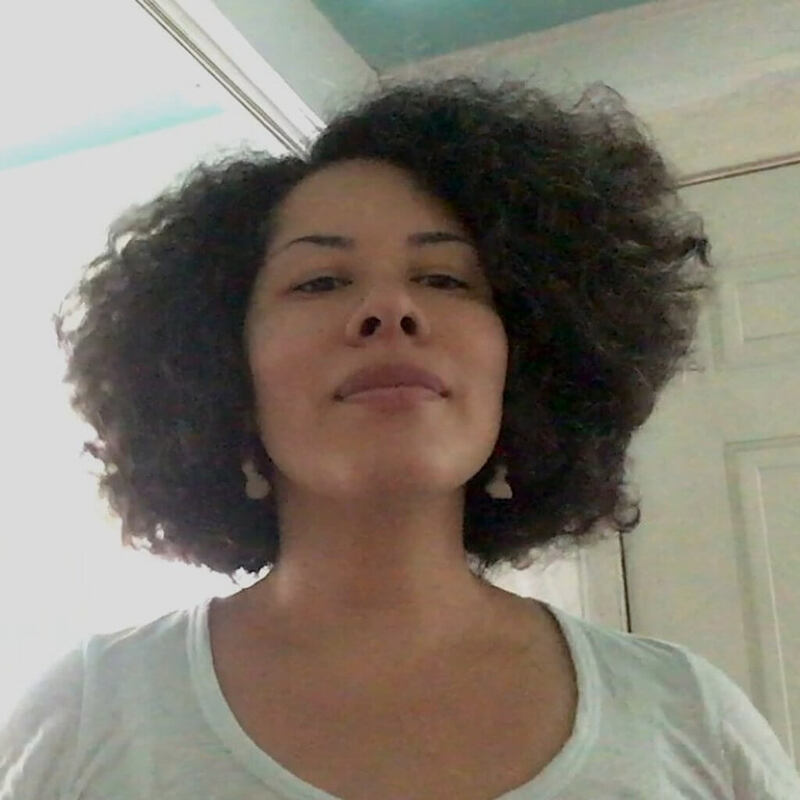 To me, embracing the hair is just a small part of a bigger shift in consciousness that leads to healing and change on a much larger level. Josie was born into a family rooted in the healing arts of curan-dería, shape shifting and clairvoyance. She is a healer and a maker of remedies which I highly suggest checking out. 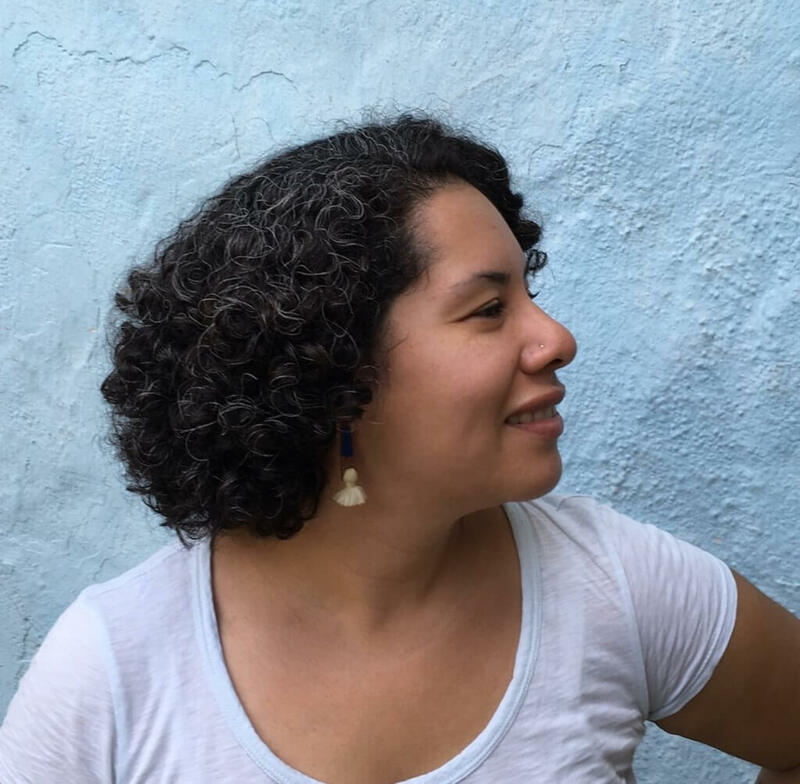 With her beautiful dark ringlets laced with sparkling silver that blings in the sun, she was kind enough to offer us some insight into her own hair journey, including her brushing routine and some wisdom from her Mexican-Cuban roots. 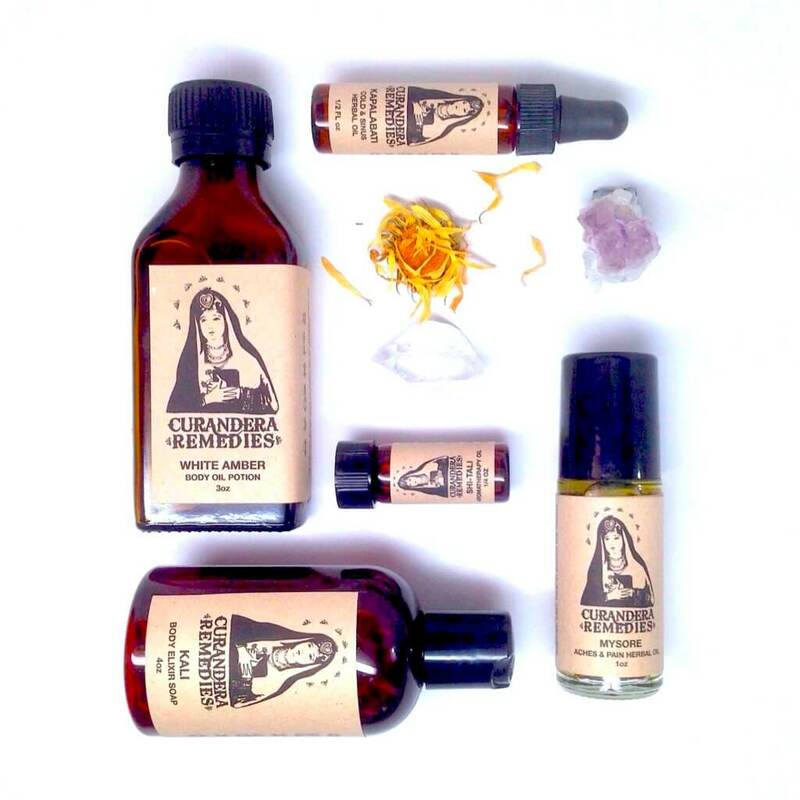 Curandera Remedies and how you got into it. I live in Miami, Florida. I relocated about 16 months ago from NYC where I lived for 19+ years. While living & working in NYC, as a Fashion Designer, I found my path as a healer. The hustle and bustle of the Fashion industry burned me out. It was then I began to seek a healthier, more conscious lifestyle. Through Meditatoin, Yoga, and herbalism I found a new way of seeing the world. It is what inspired me want to share these teachings with Curandera Remedies. 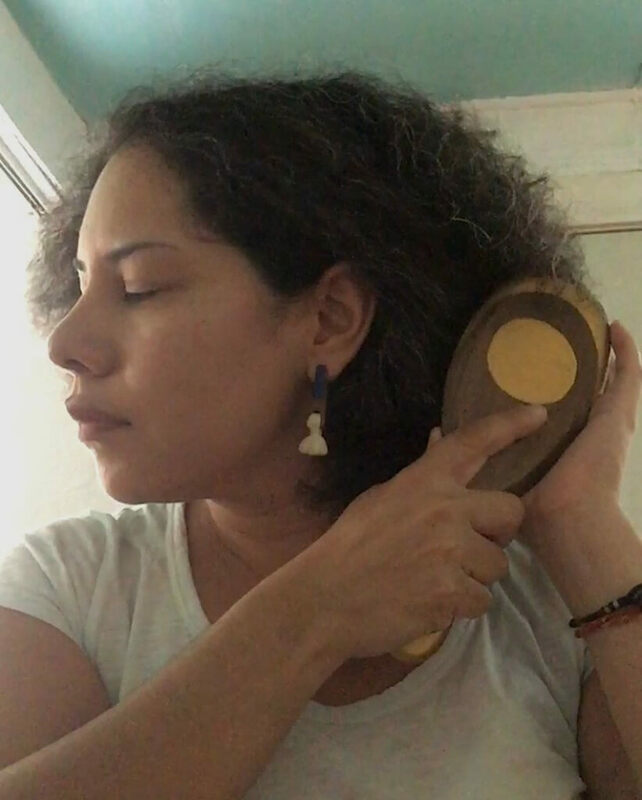 Curandera Remedies began as a way to share the many tools I learned for a conscious, happy lifestyle. It blossomed along with my students and clients when I began to make personalized apothecary products. Today the mission is to promote alternative healing and raise conscious harmony in everyone. The brand is inspired by folk medicine, homesteading, and global connection. I am a Mexican-Cuban by heritage. My mom has Toltec Indian ‘cabello quebrado’ aka wavy hair and my dad has afro-textured hair. 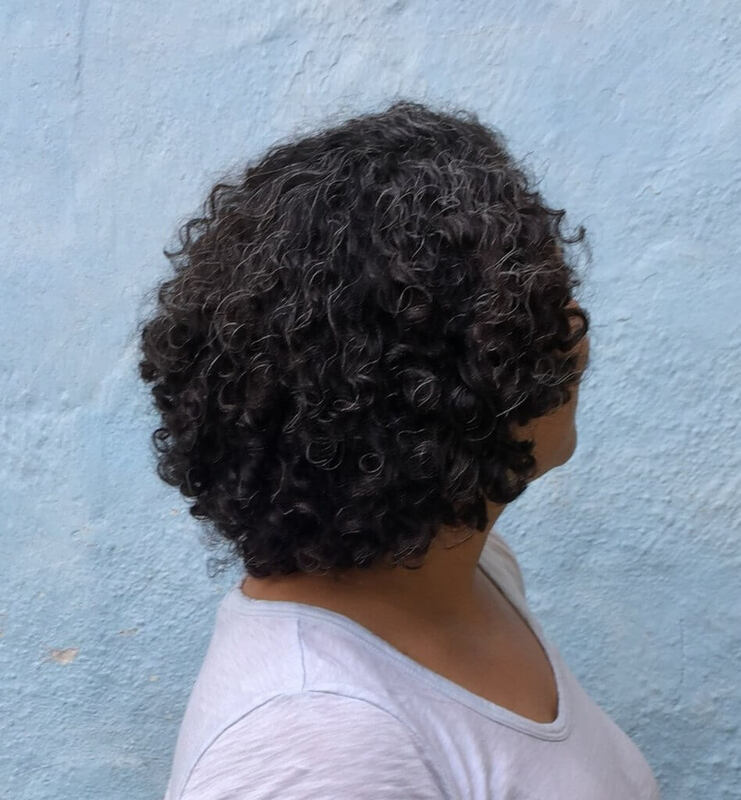 My hair definitely a mix of both, it is super limp and loose when wet but it dries in curls and depending on the weather it is either loose curls or tight curls. My dad has been an advocate for my curly hair, as photos prove with the afro. But my mom was the one who ultimately took care of it. Because she had no idea how to care for it, and none did either, most of my childhood I had short hair. As I grew up and was introduced to more mixed raced friends in the US, I learned various ways to style my hair. Did you have anyone in your life that did your hair for you as a kid? Yes, my dad. He knew how to style and comb out my hair when it was dry. Any hair wisdom from the cultures you were raised in? Well my maternal grandmother kept her hair jet black with an ash mask made of Mamey pit. I’ve yet to try this, specially with my premature graying hair, lol!! But it’s on my list. What is your hair routine / MO these days? Wash and moisturize with alcohol free shampoo & conditiner. Natural hair mask atleast once a week, sometimes it’s a mix of hot oils other times natural avocado, mayo, or egg. Very few times I’ve use a store bought hair mask. I style it with alcohol free mousse or hair pomade. If i really want a sure hold I’ll dab some gel. As a curly haired woman, what inspired you to start brushing your hair? A few times in my life I’ve had my hair chemically altered, and these times i always love brushing my hair!! It made my hair very shiny. Today I brush my hair after washing it, to style it. And depending on the day and how I’m feeling, I also brush it before bed. What do you like about brushing your hair? Brushing my hair wet to style makes the curls pop and I love that!! When dry, it feels delicious on my scalp though the combed out hair isn’t something I’ve yet fallen in love with. I didn’t really love my hair until I moved to NYC. It was then I discovered, at age 17, how fall and winter weather affected my hair. I also learned then the use of alcohol free products. A few times I did relax my hair, mostly because I wanted to experience something different. But the more I did the more I loved my natural hair when I decided to ‘go back’. Do you have a hair mantra? No but I friend once told me ‘when a gal embraces her curls, she has fully embraced herself’, lovely isn’t it. 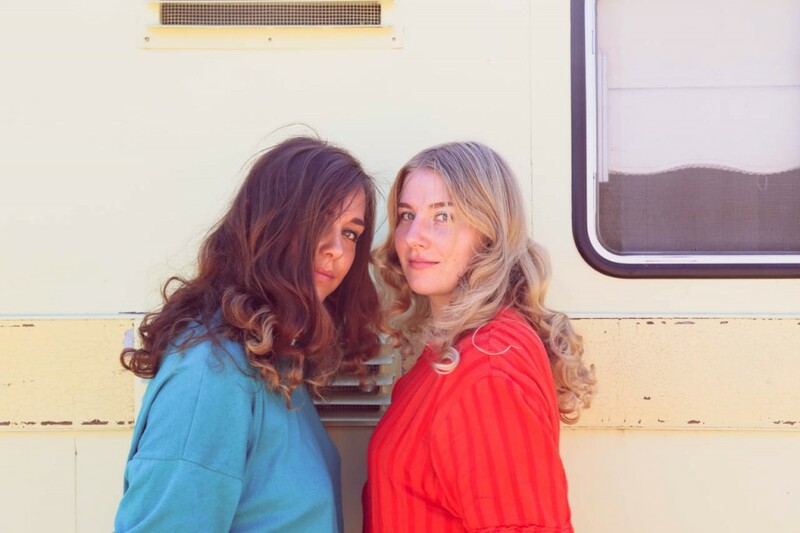 Any hair stories from your youth that stick out? When I was 15, I had my hair set in rollers and blown out for the first time. It was also the first time someone gave me a hair compliment. Isn’t that wacky? It’s no wonder curly hair gals opt for chemical changes instead of embracing their gorgeous curls!!! Thanks Josie for sharing your words and wisdom! 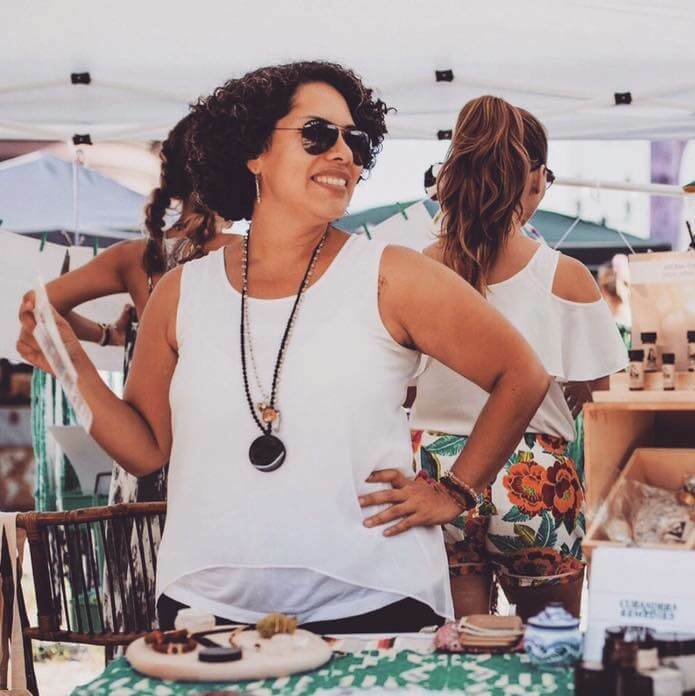 Please take some time to check out Josie’s offerings here, and follow her on Instagram. Rag- curl sisters. Why your fine hair loves no-heat curls. Badgley Mischka inspired #DIYFriday Runway Braid up the back bun!